I have a fantastic duo to show off to you guys today. It is a cleanser and moisturizer twosome that has been rocking my life for about the last month. 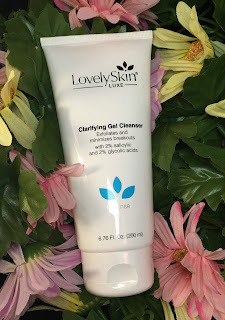 It is made by LovelySkin which is a brand that I stumbled upon about a week ago. As I mentioned in a previous post, I have been having a heck of a time with sudden break outs due to a make-up product that I have been using. LovelySkin Clarifying Gel Cleanser is a foaming cleanser that has a 2% salicylic and glycolic acid formula which helps minimize acne breakouts. This is $40.00 for a 6.76 oz bottle. You can pick it up here. This smelled absolutely lovely! It was a citrus smell that was very soothing. Next up is a great product! It is a mattifying moisturizer. Which, I love, because my combination skin likes to turn to straight oil come about 2pm. 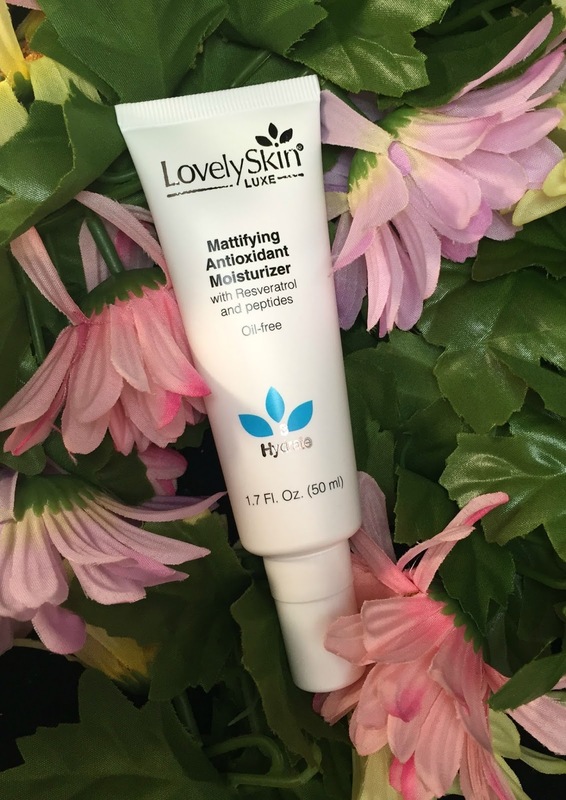 You can use this to hydrate AND protect that beautiful face of yours! This is made from Resveratrol which is an anti-oxidant known for its protectant qualities. It actually comes from grapes. Long term use of this lotion helps the overall tone and texture of your skin. You can grab a 1.7fl oz bottle of this for $60.00 here. Overall, I liked this set. I was impressed with the awesome smells, the cleansing power and just the simplicity of this set. There was no extra fancy bells and whistles. There is just straight cleansing power. I love how natural both of these products feel and how my face does not have a sticky residue afterwards.